In 1992, Heston filmed a four-video series in the Holy Land, �Charlton Heston Presents the Bible.�� Genesis, The Story of Moses, Jesus of Nazareth, and Passion, are a high-quality, well-documented, and interesting collection of stories, scenery, and classic paintings of Biblical subjects.� Heston is not a scholar, but a storyteller.� In his magnificent voice, Heston�s own redactions narrate Biblical stories, based on the King James Bible, which Heston correctly believes to be the greatest work of English literature. A redaction is an adaptation or a selection, usually in reduced form, of a more complicated story.� In the Bible, we see that Stephen�s final speech before his persecutors was a redaction of the story of Israel, Acts 7.� In Daniel 9, the prophet Daniel gives a redaction of the sinful condition of Israel.� During the Passover season, we are to give to our children a redaction of the Exodus from Egypt, Exodus 12:24-27, 13:14-15.� You learn a great deal by redacting Bible stories, putting them in your own words. �Charlton Heston Presents the Bible,� four one-hour videos, three audio cassettes, plus a 288-page book, is available for $59.90 plus postage, from Goodtimes Enter�tainment, 516-937-7240, www.goodtimes.com.� Or, you may borrow it free from our Sharing Library, John D. Crissinger, PO Box 581, Granville, OH 43023. Charlton Heston�s classic movie, The Ten Commandments, is available from Giving & Sharing, Box 100, Neck City, MO 64849, for $25 postpaid, or you may order it direct from Amazon.com via our www.giveshare.org/amazon website. When I was in high school, I took four years of French.� One of the first things which I noticed about French verb conjugation is that, with some verbs, to form �perfect� tenses, such as �I have gone,� the French use the verb, �to be,� instead of the verb, �to have.�� Later, I noticed that some of the �odd� ways of saying things in the Authorized (King James) Bible are, in fact, grammatical practices in common with French ways. �A nation [or Church] can survive its fools and even the ambitious [and there are plenty of those again]. But it cannot survive treason from within [like those who water-down the truth]. An enemy at the gates is less formidable, for he is known and he carries his banners openly. But the traitor [like a leader who pretends to be a shepherd] moves among those within the gate freely, his sly whispers rustling through all the alleys, heard in the very halls of government itself. For the traitor appears not traitor! He speaks in the accent familiar to his victims and he appeals to the baseness that lies deep in the hearts of all men. He rots the soul of a nation [or Church]. He works secretly and unknown in the night to undermine the pillars of a city; He infects the body politic so that it can no longer resist. A murderer is less to be feared.�� Cicero, 42 B.C. 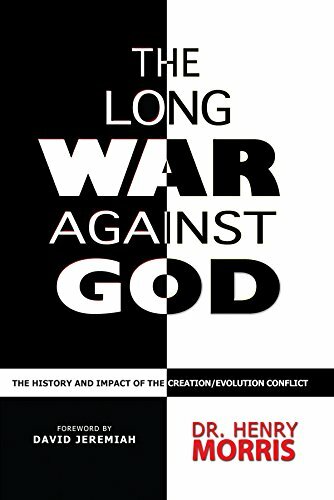 A fundamental, foundational tenet of our belief is opposition to carnal warfare.� Of the ancient Waldenses, it is reported, �Their opposition to bearing arms, and to war in all its operations, was unanimous and unequivocal.� Whoever commanded them to the field they refused to obey, alleging that they could not conscientious�ly comply.� No contingencies would in�duce them to assume the weapons of death; and this peculiarity was well under�stood by all the world, and made the onsets of the inquisitors and crusaders upon these weaponless Christians the more cruel and contemptible,� A General History of the Sabbatarian Churches, by Tamar Davis, 1851, p. 78. 1.�� People are illogical, unreasonable, and self-centered.� Love them anyway. 2.�� If you do good, people will accuse you of selfish ulterior motives.� Do good anyway. 3.�� If you are successful, you win false friends and true enemies.� Succeed anyway. 4.�� The good you do today will be forgotten tomorrow.� Do good anyway. 5.�� Honesty and frankness make you vulnerable.� Be honest and frank anyway. 6.�� The biggest men and women with the biggest ideas can be shot down by the smallest men and women with the smallest minds.� Think big anyway. 7.�� People favor underdogs but follow only top dogs.� Fight for a few underdogs anyway. 8.�� What you spend years building may be destroyed overnight.� Build anyway. 9.�� People really need help but may attack you if you do help them.� Help people anyway. 10.Give the world the best you have and you�ll get kicked in the teeth.� Give the world the best you have anyway. � � Copyright by Dr. Kent M. Keith 1968, 2001.� Used by permission.� For more information, see www.paradoxialcommandments.com. Kent Keith wrote �The Paradoxical Commandments� in 1968 as part of a 65-page guide for high school student leaders.� His words have taken a life of their own, and swept around the world, cited by many, including Mother Theresa, government leaders, and Ann Landers.� They epitomize brotherly love, and service to mankind.� The maxims, sometimes referred to as the �Anyway Commandments,� inspire decency, caring, and kindness, in a mean world. How true are these inspirational gems!� Commandment #2 really hits home to me.� Recently, Giving & Sharing has launched several programs to assist the needy: Assistance Line (emergency financial aid, priority given to widows and orphans), Bibles to Africa, and El Salvador School and Orphanage.� A certain individual loudly proclaims that we are doing this for selfish reasons, to steal funds for our personal use, and to make ourselves look good.� Kent Keith says, �If you do good, people will accuse you of selfish ulterior motives.� Do good anyway.�� In twenty-four years of service to God�s people through Giving & Sharing, I have not received one penny of remuneration.� There is nothing glamorous in answering correspondence, sending books and literature, updating our website, and the many other tasks myself, Earl Lewis, John Guffey, Steve Kieler, and other helpers, perform.� Some of those we strive to serve attack, criticize, and even condemn us for serving God�s people.� We choose to serve anyway.� Believe me, if you try to do good to others, you will be attacked. We are instructed, �Love your enemies, bless them that curse you, do good to them that hate you, and pray for them which despitefully use you, and persecute you,� Matthew 5:44.� �Therefore all things whatsoever ye would that men should do to you, do ye even so to them: for this is the law and the prophets,� Matthew 7:12. Kent Keith says he always looks back at the words he wrote for personal guidance.� �I still believe in all 10 of them.�� His favorite is #1, �People are illogical, unreasonable, and self-centered.� Love them anyway.�� The Anyway Commandments are magnifiers of the last six of God�s Ten Commandments.� They are motivators to lead us to continue serving God�s people.� If we do not get discouraged, one day God will say to us, �Well done, thou good and faithful servant,� Matthew 25:21.� �Therefore, my beloved brethren, be ye stedfast, unmoveable, always abounding in the work of the Lord, forasmuch as ye know that your labor is not in vain in the Lord,� I Corinthians 15:58. Carl was a quiet man. He didn�t talk much. He would always greet you with a big smile and a firm handshake. Even after living in our neighborhood for over 50 years, no one could really say they knew him very well. Before his retirement, he took the bus to work each morning. The lone sight of him walking down the street often worried us. He had a slight limp from a bullet wound received in WWII. Watching him, we worried that although he had survived WWII, he may not make it through our changing uptown neighborhood with its ever-increasing random violence, gangs, and drug activity.� When he saw the flyer at our local church asking for volunteers for caring for the gardens behind the minister�s residence, he responded in his characteristically un-assuming manner. Without fanfare, he just signed up. He was well into his 87th year when the very thing we had always feared finally happened.� He was just finishing his watering for the day when three gang members approached him.� Ignoring their attempt to intimidate him, he simply asked, �Would you like a drink from the hose?� The tallest and toughest-looking of the three said, �Yeah, sure�, with a malevolent little smile. As Carl offered the hose to him, the other two grabbed Carl�s arm, throwing him down. �Are you hurt?� the minister kept asking as he helped Carl to his feet. �I�ve got to finish my watering. It�s been very dry lately,� came the calm reply. Satisfying himself that Carl really was all right, the minister could only marvel. Carl was a man from a different time and place.� A few weeks later the three returned.� Just as before their threat was unchallenged. Carl again offered them a drink from his hose. This time they didn�t rob him. They wrenched the hose from his hand and drenched him head to foot in the icy water. When they had finished their humiliation of him, they sauntered off down the street, throwing catcalls and curses, falling over one another laughing at the hilarity of what they had just done.� Carl just watched them. Then he turned toward the warmth giving sun, picked up his hose, and went on with his watering. The summer was quickly fading into fall. Carl was doing some tilling when he was startled by the sudden approach of someone behind him. He stumbled and fell into some evergreen branches. As he struggled to regain his footing, he turned to see the tall leader of his summer tormenters reaching down for him. He braced himself for the expected attack. �Don�t worry old man, I�m not gonna hurt you this time.� The young man spoke softly, still offering the tattooed and scarred hand to Carl. As he helped Carl get up, the man pulled a crumpled bag from his pocket and handed it to Carl. What�s this?� Carl asked. The man shifted his feet, seeming embarrassed and ill at ease. �I learned something from you,� he said. �I ran with that gang and hurt people like you. We picked you because you were old and we knew we could do it. But every time we came and did something to you, instead of yelling and fighting back, you tried to give us a drink. You didn�t hate us for hating you. You kept showing love against our hate.� He stopped for a moment. �I couldn�t sleep after we stole your stuff, so here it is back.� He paused for another awkward moment, not knowing what more there was to say. �That bag�s my way of saying thanks for straightening me out, I guess.� And with that, he walked off down the street. Carl looked down at the sack in his hands and gingerly opened it.� He took out his retirement watch and put it back on his wrist. Opening his wallet, he checked for his wedding photo. He gazed for a moment at the young bride that still smiled back at him from all those years ago. The following spring another flyer went up. It read: �Person needed to care for Carl�s garden.� The flyer went unnoticed by the busy parishioners until one day when a knock was heard at the minister�s office door. Opening the door, the minister saw a pair of scarred and tattooed hands holding the flyer. �I believe this is my job, if you�ll have me,� the young man said. The minister recognized him as the same young man who had returned the stolen watch and wallet to Carl.� He knew that Carl�s kindness had turned this man�s life around. The man went to work and, over the next several years, he tended the flowers and vegetables just as Carl had done. In that time, he went to college, got married, and became a prominent member of the community.� But he never forgot his promise to Carl�s memory and kept the garden as beautiful as he thought Carl would have kept it. �Well, congratulations!� said the minister, as he was handed the garden shed keys. If you own just one Bible, you are abundantly blessed because one-third of the world does not even have access to one. If you have never experienced the danger of battle, the loneliness of imprisonment, the agony of torture, or the pangs of starvation, you are ahead of 500 million people around the world. If you attend a church meeting without fear of harassment, arrest, or torture, or death, you are more blessed that almost three billion people in the world. If you have food in your refrigerator, clothes on your back, a roof over your head, and a place to sleep, you are richer than 75% of this world. If you have money in the bank, in your wallet, and spare change in a dish somewhere, you are among the top 8% of the world�s wealthy. If your parents are still married and alive, you are very rare. If you hold up your head with a smile on your face, and are truly thankful, you are blessed because the majority can, but most do not. If you can hold someone�s hand, hug them, or even touch them on the shoulder, you are blessed because you can offer God�s healing touch. If you prayed yesterday and today, you are in the minority because you believe in God�s willingness to hear and answer prayer. If you believe in Jesus as the Son of God, you are a very small minority in the world. If you think you are the only one hurting and feel that the world is really putting you down, think again. Sometimes we call the problems upon ourselves, and it takes an act of will to get out of the rut in which we may be at the moment. 1. Wake Up!! Decide to have a good day. �Today is the day the Lord hath made; let us rejoice and be glad in it,� Psalms 118:24. 2. Dress Up!! The best way to dress up is to put on a smile. A smile is an inexpensive way to improve your looks. �The Lord does not look at the things man looks at. Man looks at outward appearance; but the Lord looks at the heart!� I Samuel 16:7. 3. Shut Up!! Say nice things and learn to listen. God gave us two ears and one mouth, so He must have meant for us to do twice as much listening as talking. �He who guards his lips guards his soul,� Proverbs 13:3. �Gossip betrays confidence. Avoid men who talk too much,� Proverbs 20:19. �Listen to advice, accept instruction and in the end, you will be wise,� Proverbs 19:20. 4. Stand Up!! . . .� For what you believe in. Stand for something or you will fall for anything. �Let us not be weary in doing good; for at the proper time, we will reap a harvest if we do not give up. Therefore, as we have opportunity, let us do good . . .� Galatians 6:9-10. 5. Look Up!! . . . To the Lord. �I can do everything through Christ who strengthens me,� Philippians 4:13. 6. Reach Up!! . . . For something higher. �Trust in the Lord with all your heart, and lean not unto your own understanding. In all your ways, acknowledge Him, and He will direct your path,� Proverbs 3:5-6. When the Messiah returns, King David, a Jew, will rule over Israel, which will be the leading nation, and the twelve Jewish apostles will rule over the Twelve Tribes of Israel.� There will be one Lord, and all nations will serve Him with one consent. David wrote, �Oh how love I thy law!� It is my meditation all the day.� Thou through Thy commandments hast made me wiser than mine enemies: for they [the Command�ments] are ever with me,� Psalm 119:97.� A study of God�s Law is most useful to point you to the mind of God, to show you the depth of His love and mercy. Charles A. Weisman has compiled an excellent study, A Handbook of Bible Law.� It is an indexed guide to over 1,500 Biblical laws, commandments, statutes, judgments, principles, admonishments, exhortations, and guidelines, under twenty-two different subject headings, and 140 different subtopics.� It is comprehensive, an easy to use, indexed guide to not only the Torah (five books of Moses), but also to the laws found throughout the entire Bible. The twenty-two subject headings of Weisman�s book are (1) The Ten Command�ments, (2) Relationship to God, (3) Relationship to Other Persons, (4) Law and Justice, (5) Marriage and Divorce, (6) Family Law and Relationships, (7) Animal Regulations, (8) Government and Civil Officers, (9) Feasts and Observances, (10) Capital Laws and Offenses, (11) Foreign Relations, (12) Etiquette and Moral Issues, (13) Labor and Work, (14) Food and Health Laws, (15) General Welfare, (16) Economic and Monetary Laws, (17) Personal Character Traits, (18) Laws Regarding Property, (19) Judgment and Execution of Law, (20) Churches and Ministers, (21) Servants, Employees, etc., (22) Warfare and Military Laws. This handbook makes an ideal tool for group Bible Study and discussion.� Each sub�topic has several scripture references to look up, read, and discuss in a group. Biblical Law, 66 pages, is available for a suggested donation of $5.00.� The focus of my book is Bible Law categorized according to The Commandments.� Jesus said in Matthew 22:36-40 that all the Law and the Prophets hang on the Two Great Commandments, Love to God, Love to fellow man, which are summaries of the Ten Commandments.� Truly, �all thy commandments are righteousness,� Psalm 119:172.